Scott has introduced a smooth and powerful new line of Spey and Switch Rods that will fit all of todays casting styles. It doesn’t matter if you are in the Orkla river fishing with heavy sink-tips on a Skagit line, fishing a Scandi lines on a light Switch Rod, or covering giant water with a Traditonal Long Bellies on a 15 footer, the new L2H has you covered. Scott have incorporated many of these innovations into our new L2H series of two handed rods so you can get the most of your two handed fishing. These rods transfer power smoothly and are incredibly stable when changing directions or applying forward stroke power. They cast flatter, tighter loops that deliver greater distance and accuracy. Even at the budget minded price point the consumer isn’t giving up anything in quality; just like every rod Scott makes they are hand built from start to finish in Montrose, Colorado. Scott is the leader in composite blank reinforcement. The latest Advanced Reinforced Carbon adds hoop strength and counteracts torque which significantly increases casting accuracy and line control. Scott pioneered multi-modulus lay-up in blank design. They’re able to precisely control stiffness along the length of the rod to build rods that load and unload more smoothly. Every Scott rod is handcrafted, beginning to end, in their shop in Montrose, Colorado by anglers who understand fly rods. Isn’t it better to know who built your rod? #5 11'0" 4 A light switch rod that can fished either overhead or two handed for half pounders and for applying two handed techniques for trout. #6 11'0" 4 This light line switch rod is perfect for targeting summer runs or for taking your two handed game to the trout stream. #7 11'6" 4 A great all-purpose switch rod for the Great Lakes and small to medium size rivers in the Pacific Northwest. This rod has the grunt to lift heavy rigs and turn powerful fish. #8 11'6" 4 A great rod for heavy lifting in the switch rod category. 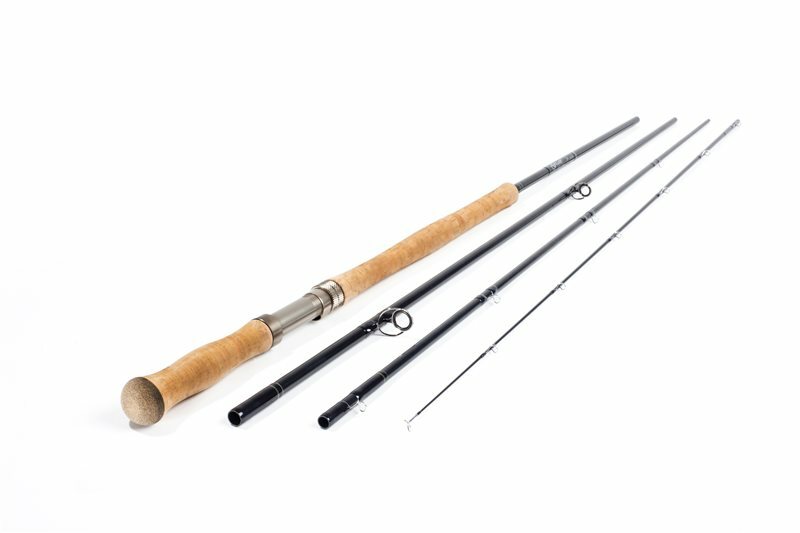 Perfect Great Lakes tributaries rod, and equally at home on the classic steelhead runs of the Pacific Northwest.Sinking lines and the new compact heads pair perfectly with this rod. #6 12'6" 4 The L2h 1256/4 handles floating lines and lightly weighted flies with ease. A great choice for fishing lighter flies and tips on today's Skagit and Scandinavian heads. #7 12'6" 4 Light, smooth and responsive, this is an ideal rod for most steelhead and salmon conditions. This rod casts beautiful long flat loops and has a progressive bending curve to supply power when it's needed. #8 13'0" 4 A fast powerful rod that pairs well with Scandi heads or Skagit style lines. Great for sink tips, and short quick casting strokes. #9 14'0" 4 The all around work horse of the L2h series, this rod covers most conditions with smooth power and crisp clean loops. A very adaptable rod that handles both floating and sinking lines, and a variety of line tapers equally well.If you fish bigger water for heavier fish, this is a great choice. #10 15'0" 4 The big gun. Take this rod on early season high water trips or when coastal rivers are swollen with winter rains and long casts with heavy tips and big flies are called for. You'll be well prepared.